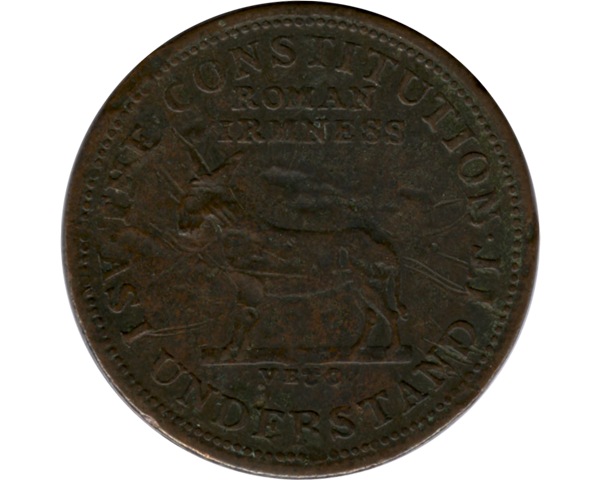 Another patriotic Civil War token. This one says "I take the responsibility" on the front with a portrait of what looks like Andrew Jackson, and "The Constitution as I understand it" on the back. 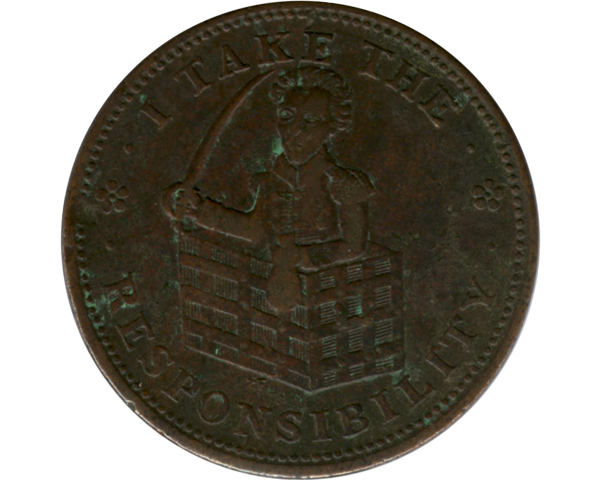 My research indicates this first came out in 1834, which makes it a "Hard Times" token instead of a Civil War token.